After 53 Years Duthie Books is Closing Their Doors. Photo by Jacek S.
Alright. It’s getting a little dusty in here. I’m going thru the phases. First: Denial. Now: Crushing realizations. Some time later: Acceptance or something like it. Here’s a letter that I just posted on Steven Beattie’s blog that sums up how I feel right now. As someone who worked at the original Duthie’s flagship store in downtown Vancouver back in the 90’s it’s easy for me to say that this is sad news but it’s hard for me to say that this is terribly surprising news. It was pretty clear from certain emanations that Cathy’s heart just wasn’t in it anymore and hadn’t been for quite some time. And given the current industry/economic climate, that’s not hard to understand. The writing on the wall was in very clear, plain script. It wasn’t difficult to read. I’m sure that Cathy has known for a long, long time that this day was coming and it must have been an incredibly agonizing decision for her to make. It’s a very heavy legacy to put an end to. It’s easy for people to point fingers at all of the usual suspects and get puffed up in a righteous rage about news like this but to me, one who worked there when the franchise was at its peak in the mid 90’s and who has friends who lost their jobs there today, I think it’s more honest to say that the train had simply reached the end of the line. 53 years is a long time and Cathy and Celia and Ria, my old buddy Mike Varty, Jane Sayers, Dina Del Bucchia, Susan Jahnke and everyone else that prowls those aisles should be proud of what they’ve done. They should be happy that they’ve made such a huge impact on the culture of this city and even though the curtain is coming down on a legendary piece of Vancouver’s literary culture we have to believe that there are better days ahead of us. Thank you and best wishes to all of my friends who worked at Duthie Books over the years and to the Duthie family for making it so good while it lasted. I’m going to go over there tomorrow and buy me some books. The Famous Duthie Books on 4th Avenue Window. Photo by Szimek S.
The ISBN – International Standard Book Number – is the unique 13 digit number or commercial book identifier that adorns the upc bar on the back of every book that’s available through standard trade channels. 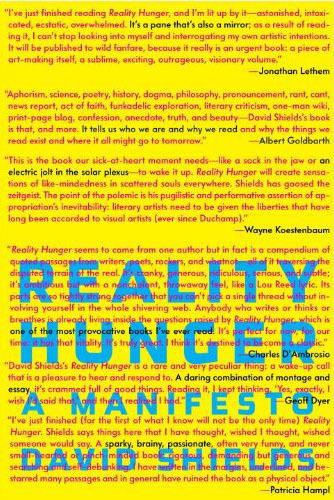 It’s the completely innocuous string of numbers within the little white rectangle on the back of the book jacket, usually in the bottom right corner. Out of the way, where no one can see it. The ISBN is relegated to that remote jurisdiction because it’s not intended for use by the customer. It’s an industry identifier that booksellers, publishers, distributors, etc… use to specify and differentiate one book from another. For instance, Penguin may have several different editions of a particular book still in print. Classics like Crime and Punishment are available in different translations, or newly reprinted editions and can be simultaneously available in trade, hard cover or mass market editions, each of which will have a separate, unique ISBN. To the average book customer the details of the ISBN are useless. They just need to provide the bookseller with title, author, whether they want the book in hard cover or paperback, what they’re willing to pay and how long they’re willing to wait if the book is not currently in stock. That’s it. The ISBN does not need to be a part of the conversation. Yet publishers insist on including the ISBN number in their print and digital advertising and it doesn’t make any sense. 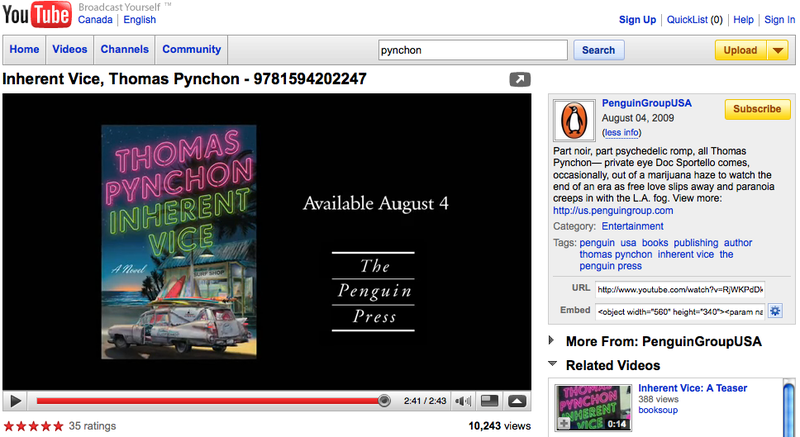 I’ll use the otherwise masterful viral book trailer for Thomas Pynchon’s Inherent Vice as an example. The above picture is a screen capture from the very end of the Pynchon book trailer and it gives the customer all the information she needs to make a purchase: name of the author, title of the book and date of release. Done. Customer has the info and can walk to their neighborhood bookstore or order it online. The Penguin Press throws their logo in there as they should, then there’s some extra promotional writing in the upper right corner which is just a little narrative snapshot for the benefit of the customer and that’s fine, too. A really tight little package that the marketing/publicity people at Penguin should be proud of. But they just can’t stop themselves from including the ISBN! It’s that mess of numbers to the right of the author/title info at the top of the video. It shouldn’t be there for a couple of reasons but mostly because it looks like crap. It’s visual clutter and it’s completely unnecessary. For instance, since the book just recently came out and it’s the only book with that particular title by that particular author in print what are the chances that a customer will order the wrong copy of Inherent Vice by Thomas Pynchon by calling her favourite bookstore or punching those details into the search bar at Amazon? Zero, right? Some have suggested that Penguin included the ISBN because it helps booksellers with their orders but that doesn’t make any sense either. If there’s a bookseller in North America that isn’t aware of the imminent appearance of a major new book written by a major author and published by one of the biggest publishers in the world then someone somewhere isn’t doing their job and it shouldn’t take a video posted on YouTube on the day of release to alert them. Good marketing like good writing happens when you remove all the unnecessary parts and give the reader the pure essence. The ISBN is not a part of that pure visual essence. It has its place and that place is not as a part of the advertising and marketing of a book.